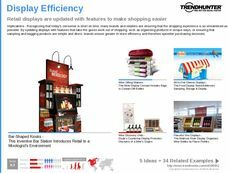 Find Better Ideas, Faster ® with a custom retail kiosk trend report, our PRO Dashboard and 80+ categories of premium trend reports. 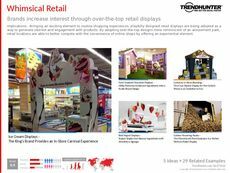 The Retail Kiosk Trend Report illustrates how brands are using pop-up shops and interactive displays to enhance customer experience. 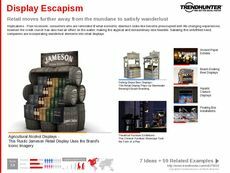 Rather than simply relying on brick-and-mortar locations or online shopping, brands are using kiosks as a more experimental retail avenue. 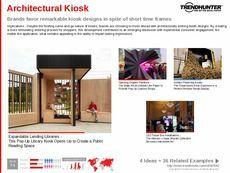 This report investigates the rise of architecturally-designed kiosks, interactive vending machines, unexpected pop-ups and visually-stimulating stalls. 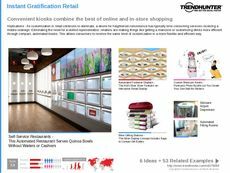 The influx of retail kiosks speak to increased consumer demands for more experiential modes of retail. 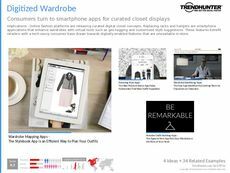 This report is ideal for retail executives, interior designers and brand managers. 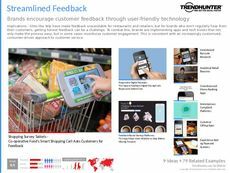 Furthermore, marketing and advertising teams can utilize our crowdsourced data to uncover consumer responses to these retail kiosks, and get a clearer understanding of their expectations and preferences towards these innovations. 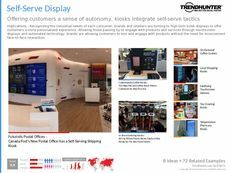 Learn how top-tier brands in all fields -- like Samsung and Heineken -- are utilizing retail kiosks to offer consumers a unique experience.